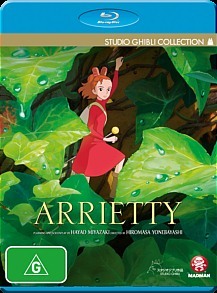 Arrietty Review. A stunningly beautiful and typically affecting outing from Miyazaki and Co., Arrietty is as poignant and brilliantly realised an entry into the Ghibli canon as could be hoped for. Although not exactly a household name, at least when compared to its gargantuan coevals Pixar and Disney, Japanese animation house Studio Ghibli have nonetheless been responsible for some of the most sublime animated gems of the past two decades, amongst them such incomparable fare as Howl’s Moving Castle, Spirited Away (the first anime film to win an Academy Award), Laputa: Castle in the Sky and Princess Mononoke, which was briefly the highest grossing film in Japanese history until it was eclipsed by a little picture called Titanic. The driving force behind these and many other Ghibli outings has been Hayao Miyazaki, whose colossal imagination and peerless attention to detail have been steadily honed over a career which now spans more than half a century. Though he didn’t direct Arrietty (his credit instead reads ‘Planning and Screenplay’ and the top job fell to long-time Ghibli animator Hiromasa Yonebayashi, who worked throughout under Miyazaki’s tutelage) the film nonetheless bears his inimitable touch throughout, both stylistically and thematically. 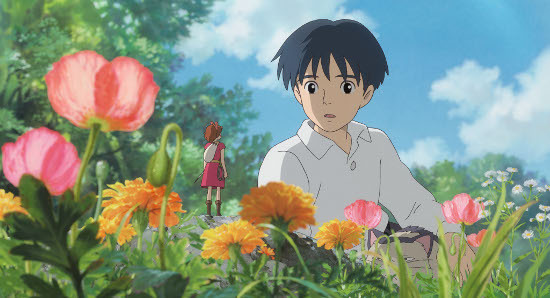 Borrowed from the 1952 Mary Norton novel The Borrowers, a lifelong Miyazaki favourite, the plot of this latest slice of Ghibli magic revolves around the eponymous Arrietty, a tiny 14-year-old girl who lives with her family under the floorboards of a sprawling country house. When a lonely child, Sho, comes to visit his aunt, he soon discovers the mansion’s miniscule residents, who make their way by ‘borrowing’ essentials from their oblivious oversized landlords. 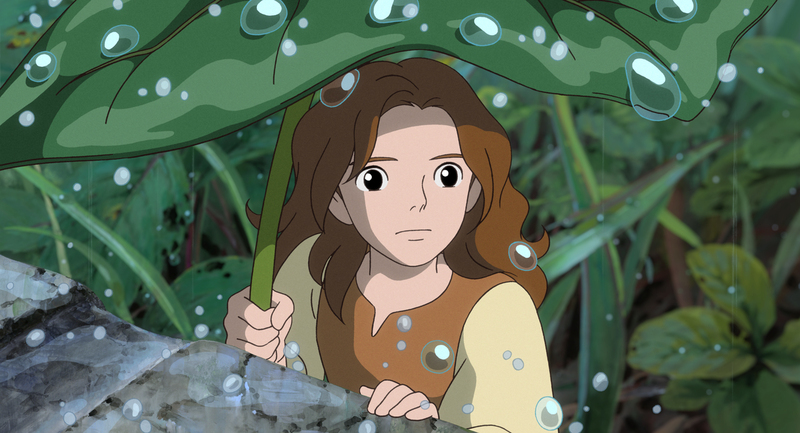 Having been spotted by a human throws a sizable spanner in the works however, and once their secret is discovered Arrietty and her family must decide whether they can share the realm of clumsy, destructive humankind or whether they must disappear in search of a new sanctuary. A stunningly beautiful and typically affecting outing from Miyazaki and Co., Arrietty is as poignant and brilliantly realised an entry into the Ghibli canon as could be hoped for. Its visuals are simply sublime - it truly popped on the big screen, and the Blu-ray home edition doesn’t disappoint either - and the peerless animation perfectly complements its simple yet simultaneously profound storyline, also something of a Studio Ghibli hallmark. Nimble, lovely and effortlessly charming, just like its pint-sized protagonist. Impeccable, blemish free 1080p HD transfer? Check. Razor sharp clarity and glorious Miyazaki-esque colour palette throughout? Check. Superb character designs? Checkity check. English 5.1 DTS-HD soundtrack? Yes indeed, check. Sadly however for us animation puritans the Japanese soundtrack is a deeply inferior two-channel affair. What a slap in the face, when oh when will they learn? Wait a minute, the Japanese audio on offer is also a 5.1 DTS-HD! Oh Joy, (insert triumphant Sale of the Century $25 Famous Faces horn blare here). Da-da-da-dah. Yes, although it isn’t always the case with J-fare the sterling folks at Madman have thoughtfully included an equally worthy Japanese dub for those who prefer to watch their anime in its native tongue, and it’s as layered, resonant and robust as could be hoped for. The soundscape is sublime and composer Cécile Corbel’s score is out of this world - nothing whatsoever to fault on the AV front. English and Japanese lossless 2.0 soundtracks are also on offer. And just to be clear the English version offered here is the UK dub, not its US brethren, which featured several big names in the way of Disney stalwart Bridgit Mendler, Parks and Recreation’s Amy Poehler and Arrested Development’s Will Arnett but is hardly missed in the face of such auditory abundance. Plenty on offer in this regard, the standouts being a singularly whimsical 25-minute interview with animation deity Miyazaki and a 40-minute interview with the boyish and eminently likable Yonebayashi. Also included are alternate angle storyboards, original Japanese trailers and TV spots, an Arrietty’s Song promo video and interviews with five of the principal English voice actors including Saoirse Ronan (Atonement, The Lovely Bones) and Olivia Coleman (best known for her roles in Green Wing and the glorious if oft-overlooked Peep Show).